Get those umbrellas ready to go before heading out the door today! 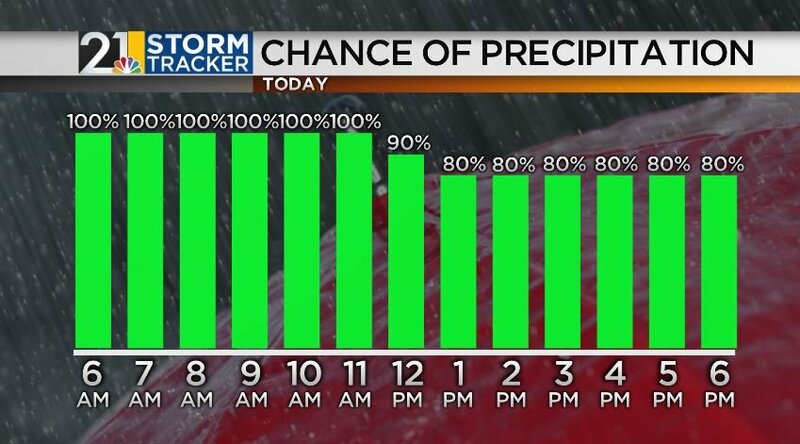 Our forecast features rain throughout the entire day. Temperatures will be sitting in the mid-40s throughout the afternoon. The rain will quickly turn to snow overnight when the cold front moves through. Snow showers will continue into Wednesday morning along with high winds and steady temperatures in the upper 20s. We expect a windy Wednesday with gusts up to 45mph. 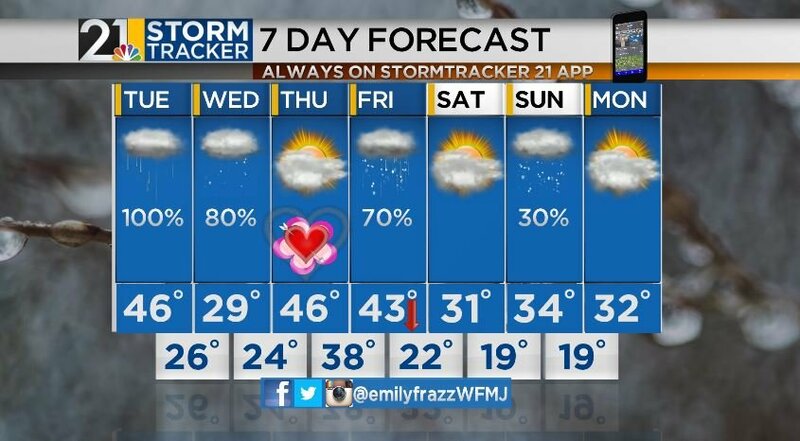 Valentine’s Day is looking nice featuring a mild high in the 40s and increasing clouds. The next system will arrive on Friday with falling temperatures and rain changing to snow. Stay weather aware throughout the day and download the Storm Tracker 21 app!